When we launched Google Instant for mobile in beta back in November, we announced that we would be supporting additional countries and languages, beyond just the U.S. in English. Today weâ€™re happy to let you know that Google Instant for mobile is now available in 28 languages and 40 countries worldwide. If you have an Android 2.2+ or iOS4 device, just go to google.com in your mobile browser and you will be redirected to your local domain. Then, tap the Google Instant link beneath the search box to enable it. The feature is pretty neat. However, it’s not as useful to me until it reaches Google.ca. 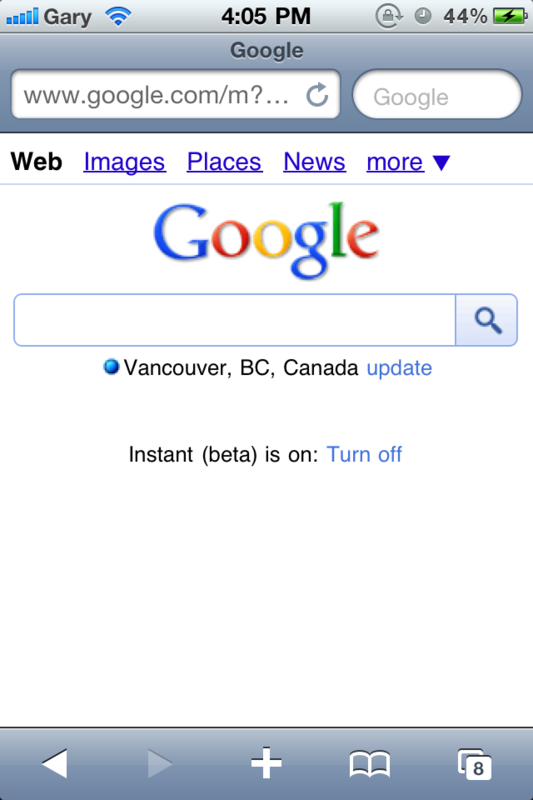 Searching the web via Spotlight on my iPhone defaults to Google Canada. Let me know what you think of Google Instant.